Posted on June 27, 2018 at 3:49 pm. 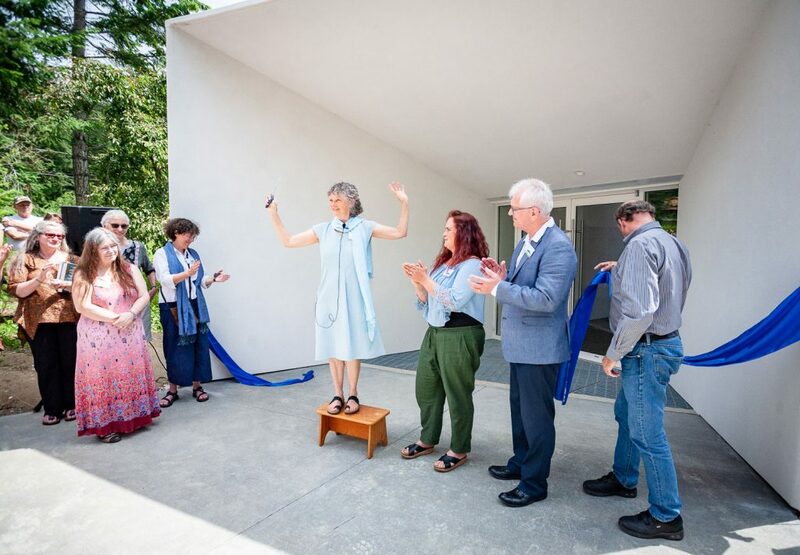 On Saturday, June 23, Yasodhara Ashram hosted almost 700 people from around the region to celebrate the Official Opening of the new Temple of Light as well as to enjoy our 24th Annual Strawberry Social. The bold new Temple replaces the original, which was destroyed by fire in 2014. The new Temple continues to hold the vision of hope and peace, where diverse traditions are honoured. “There is so much division in the world so we need a place to remind us to come together. And a place of Light is a place of love,” Swami Lalitananda, the Ashram’s president, said in her opening address. The opening remarks were followed by performances by Slava Doval’s DanceFusion, a group of young dancers from Nelson. Slava – Nelson’s Cultural Ambassador for 2018 – is a former East Shore resident and Ashram Teen Program participant. The young dancers performed three inspiring pieces, while Slava offered her own amazing creation and performance. She credits the Ashram for the formative experience in understanding that dance can be a sacred art that speaks to the spirit. The dancers received a warm and enthusiastic response. The day was a tremendous success. An intention was fulfilled—bringing the community together to join us in celebrating our beloved new Temple of Light, a magical place in the Kootenays where people can come to appreciate the quiet beauty and sacred space.